If you were injured in a Key West car accident, then you probably want to find the best Key West car accident lawyer to help you. At the Wolfson Law Firm, our Key West car accident attorneys have helped car accident victims in South Florida and the Florida Keys since 1963. We can help you too. Just call us at (305) 285-1115 for your free consultation right now. We will not charge you a fee unless and until we make a financial recovery for you. Maybe you live and work in Key West. Perhaps you are on vacation. But if you have a car accident in Key West, Florida, you will want an experienced Florida Keys car accident lawyer to assist you in sorting out the mess. Make no mistake – even simple car accidents can be complicated. You will have to deal with multiple insurance companies. Your insurance company and the other driver’s insurance company to begin with. Your health insurance may also come into play depending on the facts of your loss. Each of those insurance companies will have different goals with one similarity – to pay no more than they owe - or even less than that if they can get away with it. Your insurance can involve PIP (Personal Injury Protection) coverage and perhaps UM (uninsured/underinsured motorist coverage) if you have that coverage available to you. The other vehicle(s) will hopefully have bodily injury and property damage coverage. Your health insurance may pay some of your medical bills, but they will have what is called a lien which must be repaid at the conclusion of your case. Your Key West car accident attorney can help you to deal with all of these different insurance companies. In fact, in a perfect world, after your Key West accident your focus should be on your health. You should be getting the best medical care and rehabilitation while you work towards your recovery. Your lawyer can and should handle the insurance companies. At the Wolfson Law Firm, we handle all personal injury cases from the moment you call until your case is resolved through negotiation, mediation, trial or appeal. We do not refer cases to other law firms to litigate or take to trial. As a matter of fact, we have many strategic partner law firms that refer cases to us or work with us as co-counsel for the purposes of litigation or trial. All of our consultations are completely confidential and free of charge. You can call us right now at (305) 285-1115 and our Key West personal injury legal team is standing by and ready to get to work on your case. 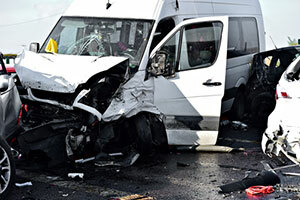 The Key West accident and injury lawyers at the Wolfson Law Firm represent the injured in personal injury cases South Florida and the Florida Keys. Our bilingual Key West injury legal team is ready to talk with you at (305) 285-1115. Call us for your consultation and allow us the opportunity to answer your questions. Our Florida Keys personal injury lawyers serve the South Florida, Monroe County and the Florida Keys including Plantation Key, Tavernier, Cudjoe Key, Sugarloaf Key, Marathon, Stock Island, Big Coppitt Key, Florida City, Homestead, Duck Key, Little Torch Key, Upper Matecumbe Key and Big Pine Key.